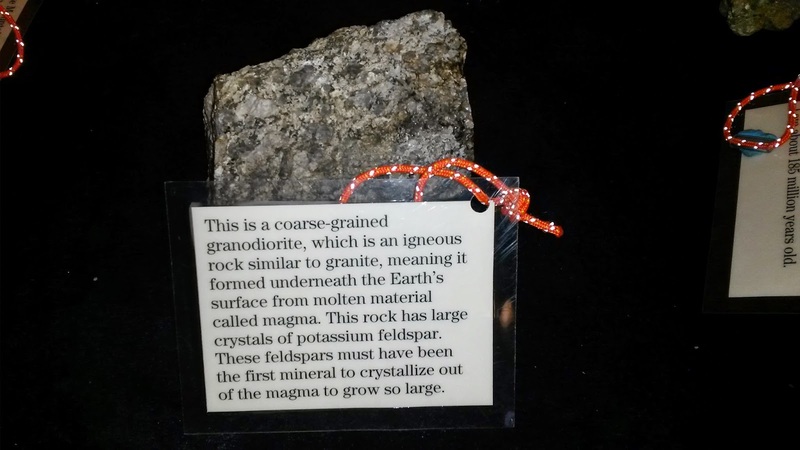 I managed to get up to the Museum of White Mountains in Plymouth just before their current exhibition titled "Beyond Granite: The Geology of Adventure" closes on March 8th. I learned quite a bit about the geology of New Hampshire, and even a little about the geology in the lakes region, including right here at Lake Wicwas. 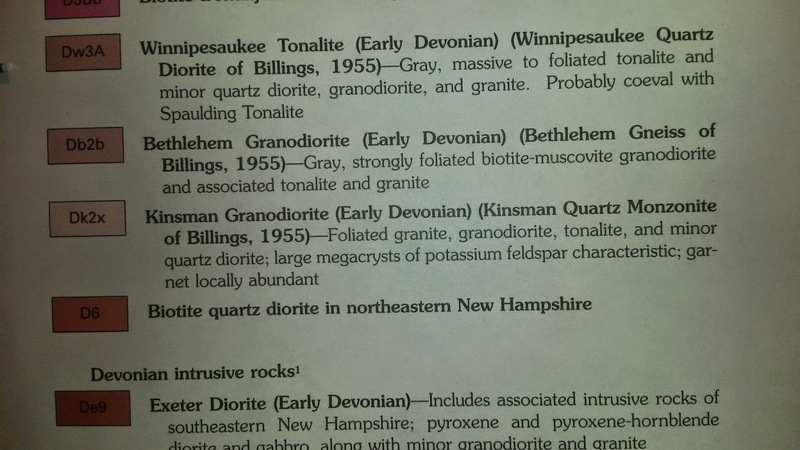 There is quite a varied history of our White Mountains, with the older mountains of the Presidential Range being formed 400 million years ago, while other mountains such as those in Franconia Notch and the Ossipee Mountains are newer, having been formed only 200 million years ago in the Jurassic Age. I expect if you have spent time anywhere around the Lakes Region you will recognize this. It forms the imposing granite ledges exposed by glaciers, the rocky shores of the islands, the countless miles of stone walls that meander through the region - and have you ever tried to dig a hole around here? 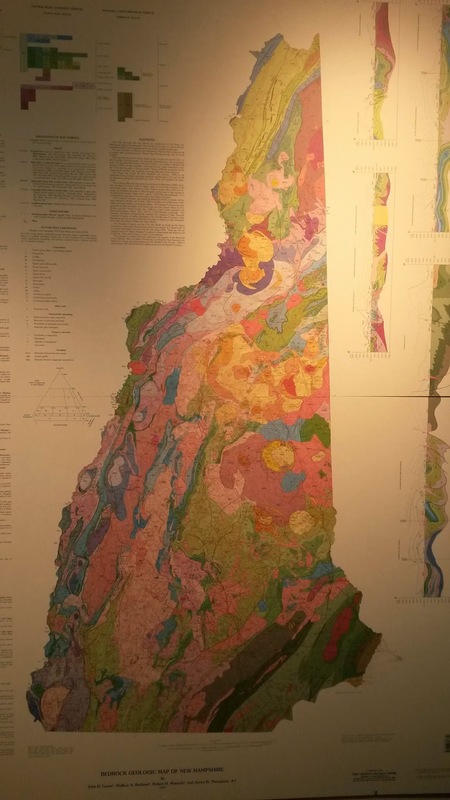 There was a detailed map showing the myriad different geologies throughbinout New Hampshire. 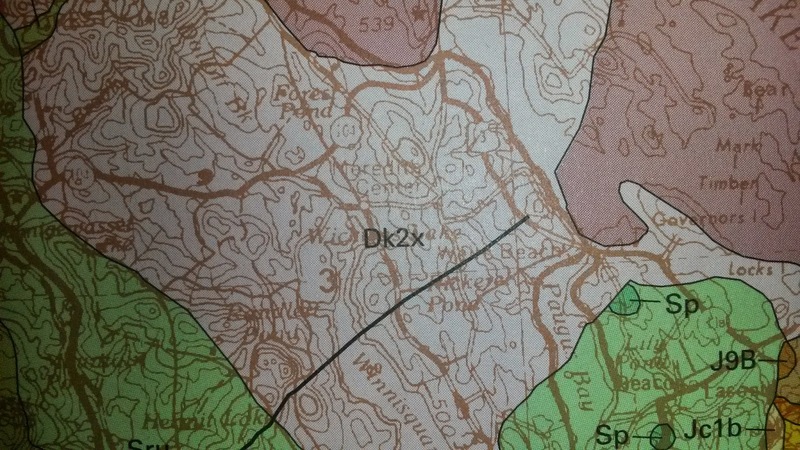 The portion of the map around the Lakes Region is shown below, with the labels "Meredith Center" and the start of the word "Wicwas" barely legible in this picture next to the term "Dk2x" which is the label for Kinsman Granodiorite. You can see the outline of the lake, and contours of the hills built of that granite to the west of the lake. 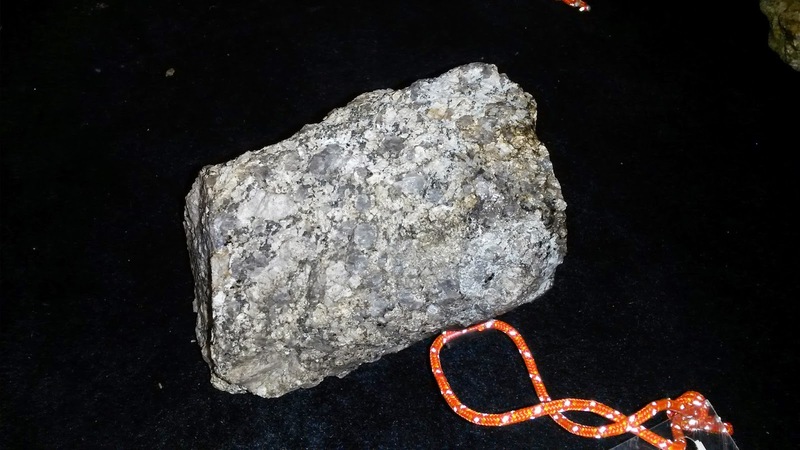 The next exhibit to be shown at the Museum of the White Mountains opens on March 31, and is titled "Trail Clubs: Connecting People with the Mountains." The museum is at the campus of Plymouth State University and is free to visit. Several feet above all that snow-covered granite, activity around Lake Wicwas continues to be scarce, but it is increasing as the intensifying sun warms, settles, and firms the snow. The most recent snowfall is an indicator of the change in temperature and humidity, as it was more dense and contained a higher moisture content that we've had since way back in November. There were a few more animals roving the pathways of the area; this weasel stole a trick from the otter's playbook, taking a belly-slide down the shore of Sheep Island back onto the lake. 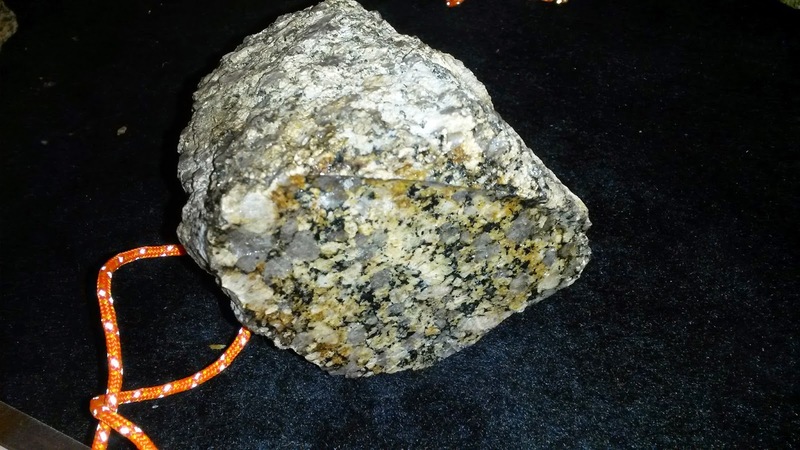 As much as I enjoy witnessing all the signs of the animals that rove around Lake Wicwas, I now find myself looking forward to the melting of the blanket of snow on the ground so I can rediscover the rock that lies thereunder with a bit of new knowledge - there is much for me to learn about the ancient rocks that assembled this granite state. March 22, 2015 - Spring?? ?